A municipal court judge in Quebec City has thrown out fines handed out to 160 people arrested in an anti-austerity march in 2015, due to unreasonable delays in the judicial process. Scores of people arrested in March 2015 during an anti-austerity protest in Quebec City won't have to pay fines of nearly $250 levied against them at the time of their arrests. Municipal court judge Sabrina Grand granted a stay of proceedings in their judicial cases. Lawyer Enrico Théberge filed the request to have the cases thrown out, due to unreasonable delays. "There is a very strict framework to respect that is getting more and more rigid — rightly so in our opinion," said Théberge. Under the terms of the Supreme Court's 2016 Jordan ruling, cases before lower courts must be completed within 18 months. In the case of these alleged infractions, the defendants were only given court dates in August 2017, nearly 30 months after they were fined. Protests were held across the province in response to the Liberal government's budget, which included cost-cutting measures in the public sector. On March 24, hundreds of protesters gathered in front of the National Assembly to voice their opposition. 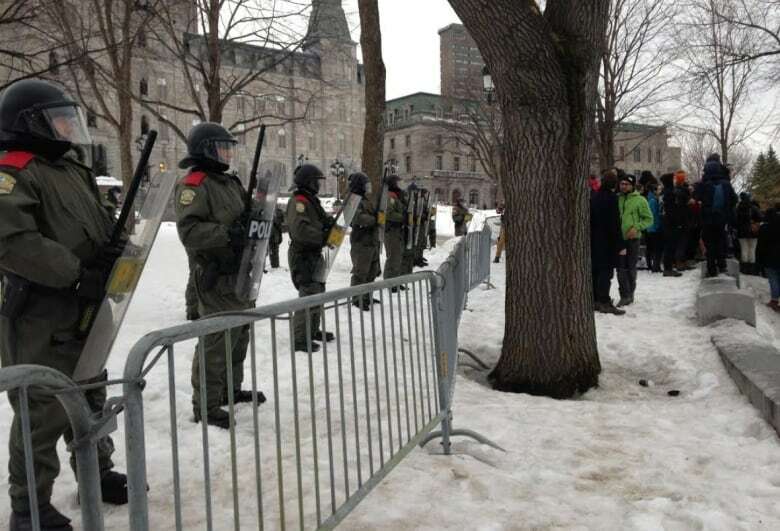 When a group started walking toward Grande-Allée, the protest was declared illegal by Quebec City police because organizers had not provided them with an advance itinerary. Quebec City added this provision to its municipal bylaws in 2012, during the so-called maple spring student protests. 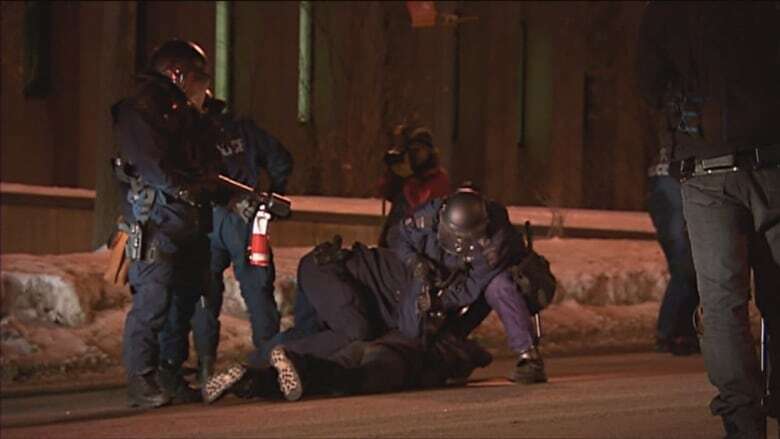 Théberge was representing 160 people out of the 274 who were arrested that night. He said he is now asking the City of Quebec to pay a $250 punitive fee to each one of his clients, because the city did not respect their right to be judged within a reasonable delay. "There should be sanction to ensure this doesn't happen. It's the essence of punitive damages," Théberge said. That request will be debated in municipal court later in the spring.